at a Live account in operation. result in a rejection message, so I guess they’ll take Yanks. Any user storing Bitcoin on Coinbase at the time of the fork will be credited with an equal amount of the new Bitcoin2x asset on the Bitcoin2x blockchain. No action is required - we will automatically credit your account. If you have 5 Bitcoin stored on Coinbase before the fork, you will have 5 Bitcoin and 5 Bitcoin2x following the event. Coinbase users will be able to trade both Bitcoin and Bitcoin2x shortly after the fork. Coinbase will disable buys, sells, sends and receives for Bitcoin and Bitcoin2x approximately 24 hours before the fork. We will re-enable them following the fork once it’s safe to do so. a scrolling panel !!! Weird. Fixed it. Thank you, both for making such outstanding contributions to help inform those (and traders like me) about the brokers we can (or should not) trust! I appreciate your commitment to helping all you have viewed your threads. Request for updates on the Capital City Markets (CCM) deposit situation. Over the past week, there have been no posts regarding the deposit problem at CCM. Is this problem being resolved? If you trade live with CCM, and have been affected by the CCM deposit problem, please post a brief update here on your efforts – and (I hope) your success – in getting this problem straightened out. No success. Requested withdrawal of remaining funds in live account and it was not honored. Funds no longer show up in MT4. Straight up theft. Nothing has changed , do not be fooled . Bank says cant go back that far . Visa supposedly has a time frame of when a customer can claim things and its long past , and not a peep from Capital City Markets . @foreverforex2 and @Martin22 Thanks for your updates. As it stands now, CCM clients have basically been screwed. I received an email today from another member (who chose not to post here in the thread) saying essentially the same thing. If there are other victims of this deposit fiasco, please speak up now, in this thread. And if anyone has successfully resolved this CCM problem, please weigh in. We need to learn how you accomplished that ! We are writing to inform you that there will be a new hard fork in the Bitcoin network in the days to come. This certainly is not the first fork, but it is a unique one, as it is not only the biggest, but also the most contradictory in the bitcoin community, and possibly, among all crypto-currencies. This fork will result in appearance of several currencies, although their future is uncertain. Exchanges, mining pools and investors express their support or opposition to any of the chains that is about to appear, but these positions change on a daily basis. Therefore, no one can predict if there will be a price spike in BTCUSD rate, or if it will be possible to convert Bitcoins. Neither can we foresee the perspective of the network’s development. All that remains for us to do at this stage is to wait and closely follow the news to have a better understanding of what rules the bitcoin community will live by. Since we highly appreciate our customers and protect their assets, and taking into account all the risks associated with Bitcoin in the coming days, we are forced to suspend trading BTCUSD as a temporary measure. We will have a temporary suspension on BTCUSD trading starting from 8th November. This means that one cannot place new BTCUSD trades starting from 8th November. From that day on, all open trades on BTCUSD will be “Close only”. All open BTCUSD trades must be closed until 10th November. If you have open positions on BTCUSD, we highly recommend you close them. The trades that are left open will be closed automatically on 10th November at the end of the trading day. Bitcoin-related internal transfers will be temporarily suspended on 8th November. 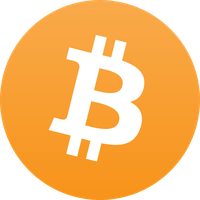 If you want to transfer your Bitcoins to any other currency (or vice-versa) from within your Backoffice profile, please transfer the funds before 8th November. I believe this is good reliable information. SOLD MY BITCOIN AHEAD OF THE FORK. has “replay protection” so that the new BTC2x will be safe !!! ??? That’s way too technical for me ! I just don’t think the fork will produce anything detrimental. 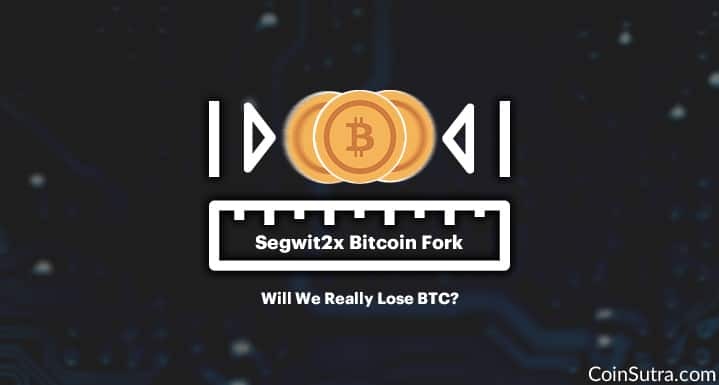 There will be a fork, there will be BTC2x to trade, there will be others that will fork, etc. There’s big money (marketcap) involved in BTC and (imo) that’s not likely to change. However I do think BTC may have a painful market correction. Litecoin was the very first Bitcoin fork. Litecoin solved all the problems that they are attempting to solve now with BTC2x. To date it has had zero effect on BTC (other then LTC price finally moving from $4 to $50+). to U.S. Persons to bypass other funds transfer restrictions. BTW LTC Looks like its making another run of its ATH of $100. it is very recent information, and discusses “bubbles” or "hype"
this can chime in but, for now, here’s an intro article in Forbes. If you have multiple cryptocurrency (coin) trades, consider a trade accounting solution dedicated to coin transactions. I reviewed two coin accounting solutions that fit the bill: Bitcoin.Tax and CoinTracking.Info. disgorge ALL clients transactions regardless of triviality. event, which is basically a capital gain. to USD transactions (this thread is for U.S. persons).